I enjoyed reading his historical novels, Burr and Lincoln. They are colourful, smooth-flowing, occasionally amusing, narratives but not passionate, romantic or heart-warming. His writing reflected his personality, I am told. In person, he was often as cool and detached as he was in his prose, according to one of his obituaries. Cool and detached he might have been, but he could be withering in his criticism in his political essays. I was just reading his essay on September 11, published in the Guardian under the headline, Taking Liberties, where he was highly critical of George Bush. Vidal was the stepbrother of Jacqueline Kennedy, sharing the same stepfather – the much-married, much-divorced Hugh Auchincloss. He also happened to be a Hollywood screenwriter, who contributed to the script of the blockbuster Ben-Hur, which was famously pilloried by the film critic Pauline Kael, who noted the Romans were played by the Brits and the Jews by the Americans. In 1958, while working on a screenplay, Vidal took the playwright Tennessee Williams to Palm Beach to meet John Kennedy, who was a senator then, and his wife, Jackie. “They’ll never elect those two. They’re much too attractive for the American people,” Williams later told Vidal. Williams was off the mark, of course, but in sparkling form. Note the quip. Vidal would have approved – of the one-liner, if not the judgment. “Style is knowing who you are, what you want to say, and not giving a damn,” he once said. Reminds you of Rhett Butler? Such nonchalance perhaps had better be gone with the wind. You had better give a damn if you don’t want to be sorry. Vidal is gone now. As an 86-year-old, he really belonged to another era. But he could sound remarkably contemporary. While older generations talked of haves and have-nots, now people talk of 99 per cent and 1 per cent. I guess the trend has become more pronounced since the global recession which started in December 2007 and spread in 2008. Well, Vidal was writing about the 1 per cent after September 11, 2001. Though Bush’s predecessors have generally had rather higher IQs than his, they, too, assiduously served the 1% that owns the country while allowing everyone else to drift. Particularly culpable was Bill Clinton. Although the most able chief executive since FDR, Clinton, in his frantic pursuit of election victories, set in place the trigger for a police state which his successor is now happily squeezing. 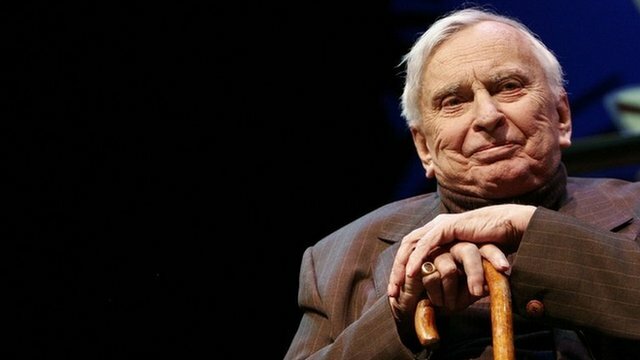 I don’t know if Gore Vidal was right or wrong. But, reading him, I must say he could be sharp, very sharp, with anything that raised his hackles.